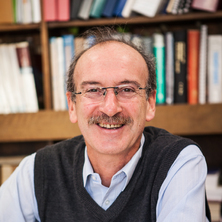 Dr Evgueni Jak is currently Professor in Pyrometallurgy at the School of Chemical Engineering. He is co-founder and currently Director of the Pyrometallurgy Innovation Centre (PYROSEARCH). He graduated with Master of Engineering (metallurgy) from St Petersburg Polytechnique University, Russia in 1984, then worked in industry for a large-scale steel casting company. In 1995 he completed a PhD in Pyrometallurgy at The University of Queensland, then worked at the Centre for Research in Computational Thermodynamics (CRCT), Ecole Polytechnic de Montreal, Canada – developers of the computer thermodynamic package FactSage. Dr Jak returned in 1996 to take up research and subsequently academic positions at The University of Queensland. He is an author of over 300 scientific papers. Gold Billiton best paper award from Transactions of IMM C, UK (2019). He has a number of invited, key-note and plenary lectures at leading international conferences. Organiser of major international conferences. Modelling of industrial pyrometallurgical processes. He has been Chief Investigator in a number of successful ARC grants including ARC SPIRT (1998-2000), ARC Large (1999-2001), ARC Large (2000-02), ARC Small (2000), ARC Linkage (2002-06)-the largest in this category in 2002 and the 1st 5-year ARC Linkage ever awarded, ARC Linkage (2005-07), ARC Discovery (2004-06), ARC Linkage (2007-11), ARC Discovery (2008-2010), 2 x ARC Discovery grants (2011-2013), ARC Linkage (2014-2016), ARC Linkage (2015-2018), ARC Linkage (2016-2019), ARC Linkage (2017-2020), ARC Linkage (2018-2023). In addition to fundamental research Dr Jak has received, and continues to receive, research funding from a wide range of major Australian and international industrial companies including, Anglo American Pt (South Africa); Atlantic Copper (Spain); Aurubis (Germany); Australian Coal Association Research Program (Australia); BHP Billiton–QNI (Australia); Boliden (Sweden); Britannia Zinc (UK); Coal in Sustainable Development (CCSD-CRC) (Australia); Codelco (Chile); CMSA (Colombia); CYMG (China); Glencore Technology (Australia); Glencore Mt Isa Mines (Australia); Hachinohe (Japan); Kansanshi First Quantum (Zambia); Kazzinc Gelncore (Kazakhstan); Koniambo Nickel, Glencore (New Caledonia); Nippon JLX (Saganoseki, Japan); Ni-West (Australia); Metaleurop Noyelles Godault (France); MHD (Germany); Nyrstar Australia); Olympic Dam, BHP Billiton (Australia); Outotec (Finland and Australia); Pan Pacific (Tamano, Japan); PASAR Glencore (Philippines); Penoles (Mexica); Portovesme (Italy); Sadbury Ni smelter, Glencore (Canada); Samancor Manganese (South Africa); Samancor Chromium (South Africa); Sumitomo (Japan); RioTinto (Kennecott, USA); Teck Cominco (Canada); TEMCO BHP Billiton (Australia); Umicore (Belgium). Jak, E. and Hayes, P. C. (2008) Phase equilibria determination in complex slag systems. Mineral Processing and Extractive Metallurgy Review, 117 1: 1-17. Jak, E., Saulov, D. N., Kondratiev, A. and Hayes, P. C. (2004) Prediction of phase equilibria and viscosity in complex coal ash slag systems. Abstracts of Papers of the American Chemical Society, 227 U1079-U1079. Jak, E. and Hayes, P. (2002) Phase equilibria and thermodynamics of zinc fuming slags. Canadian Metallurgical Quarterly, 41 2: 163-174. Degterov, S., Jak, E., Hayes, P. C. and Pelton, A. D. (2001) Experimental study of phase equilibria and thermodynamic optimization of the Fe-Zn-O system. Metallurgical and Materials Transactions B, 32 B 643-657. Kondratiev, A. and Jak, E. (2001) Modeling of the viscosities of partly crystallised slags in the A12O3 -CaO- FeO -SiO2 system. Metallurgical and Materials Transactions B, 32 B 1027-1032. Kondratiev, A. and Jak, E. (2001) Review of experimental data and modeling of the viscosities of fully liquid slags in the A12O3 -CaO-FeO SiO2. Metallurgical and Materials Transactions B, 32 B 1015-1025. Haccuria, E., Hayes, P. C. and Jak, E. (2014). Phase equilibria studies to support the technology development for the recycling of lithium ion batteries. In: COM2014. Conference of Metallurgists, Vancouver, Canada, (). 28 September - 1 October 2014. Crivits, T., Hayes, P. C. and Jak, E. (2014). Solubility of MgO in high Cu2O slags in equilibrium with Cu metal. In: COM2014. Conference of Metallurgists, Vancouver, Canada, (). 28 September - 1 October 2014. Fallah-Mehrjardi, A., Hayes, P.C. and Jak, E. (2013). Interface temperature between freeze-lining and bath in high temperature reaction systems. In: Proceedings of EMC 2013. 7th European Metallurgical Conference, EMC 2013, Weimar, Germany, (991-1006). 23-26 June 2013. Fallah-Mehrjardi, A., Hayes, P. C. and Jak, E. (2013). Investigation of freeze-linings in copper-containing slag systems: effects of bath agitations. In: Copper 2013, Santiago, Chile, (). 1-4 December 2013. Hidayat, Taufiq and Jak, Evgueni (2012). A thermodynamic optimization of “Cu2O”-containing slags systems. In: Proceedings of the Ninth International Conference on Molten Slags, Fluxes and Salts (MOLTEN12). Ninth International Conference on Molten Slags, Fluxes and Salts (MOLTEN12), Beijing, China, (). 27-30 May 2012. Chen, Jiang, Prostakova, Viktoria, Jak, Evgueni and Degterov, Sergei A. (2012). Development of NiO-CaO-MgO-SiO2 thermodynamic database using experimental and thermodynamic modelling approaches with focus on NiO-MgO-SiO2 and NiO-CaO-SiO2 systems. In: Proceedings of the Ninth International Conference on Molten Slags, Fluxes and Salts (MOLTEN12). Ninth International Conference on Molten Slags, Fluxes and Salts (MOLTEN12), Beijing, China, (). 27-30 May 2012. Hayes, Peter and Jak, Evgueni (2012). Exploring compositional space in metallurgical slag systems. In: Proceedings of the Ninth International Conference on Molten Slags, Fluxes and Salts (MOLTEN12). Ninth International Conference on Molten Slags, Fluxes and Salts (MOLTEN12), Beijing, China, (). 27-30 May 2012. Jak, E. and Hayes, P. C. (2012). Integrated experimental and modelling research methodology for the characterisation of thermodynamic and physico-chemical properties in complex metallurgical slags. In: ICS 2012, the 5th International Congress on the Science and Technology of Steelmaking. International Congress on the Science and Technology of Steelmaking, Dresden, Germany, (). 1-3 October 2012. Jak, Evgueni (2012). Integrated experimental and thermodynamic modelling research methodology for metallurgical slags with examples in the copper production field. In: Proceedings of the Ninth International Conference on Molten Slags, Fluxes and Salts (MOLTEN12). Ninth International Conference on Molten Slags, Fluxes and Salts (MOLTEN12), Beijing, China, (). 27-30 May 2012. Mehrjardi, Ata Fallah, Hayes, Peter and Jak, Evgueni (2012). Investigation of freeze linings in copper containing slag systems. In: Proceedings of the Ninth International Conference on Molten Slags, Fluxes and Salts (MOLTEN12). Ninth International Conference on Molten Slags, Fluxes and Salts (MOLTEN12), Beijing, China, (). 27-30 May 2012. Henao, Hector M., Hayes, Peter C. and Jak, Evgueni (2012). Phase equilibria of “Cu2O”-“FeO”-SiO2-CaO slags at PO2 at 10-8 atm in equilibrium with metallic copper. In: Proceedings of the Ninth International Conference on Molten Slags, Fluxes and Salts (MOLTEN12). Ninth International Conference on Molten Slags, Fluxes and Salts (MOLTEN12), Beijing, China, (). 27-30 May 2012. Suzuki, Masanori and Jak, Evgueni (2012). Revision of quasi-chemical viscosity model for viscosity estimation of molten multi-component oxide slag. In: Proceedings of the Ninth International Conference on Molten Slags, Fluxes and Salts (MOLTEN12). Ninth International Conference on Molten Slags, Fluxes and Salts (MOLTEN12), Beijing, China, (). 27-30 May 2012. Henao, Hector M., Ushkov, Leonid A. and Jak, Evgueni (2012). Thermodynamic predictions and experimental investigation of slag liquidus and minor element partitioning between slag and matte in support of the copper Isasmelt smelting process commissioning and optimisation at Kazzinc. In: Proceedings of the Ninth International Conference on Molten Slags, Fluxes and Salts (MOLTEN12). Ninth International Conference on Molten Slags, Fluxes and Salts (MOLTEN12), Beijing, China, (). 27-30 May 2012. Yan, Xiao Y., Hayes, Peter, Jak, Evgueni and Schwarz, Phil (2011). Air-cooled finger probe technique for the study of freeze lining formation in aluminium cells. In: Barry Welch, Gretta Stephens, Jim Metson and Maria Skyllas-Kazacos, Proceedings of the 10th Australasian Aluminium Smelting Technology Conference. 10th Australasian Aluminium Smelting Technology Conference, Launceston, Australia, (). 9-14 October 2011. Jak, E. and Tsymbulov, L. (2010). Development of the continuous copper converting using two-zone vaniukov converter. In: GDMB, Paul-Ernst-Straße and Clausthal-Zellerfeld, Copper : Indicator of the progress of civilisation. Proceedings of Copper 2010. 7th International Copper-Cobre Conference 2010, Hamburg Germany, (793-811). 6-10 June 2010. Hidayat, M. Phil T., Henao, H. M., Hayes, P. C. and Jak, E. (2010). Experimental study of phase equilibria of silicate slag systems. In: GDMB, Paul-Ernst-Straße and Clausthal-Zellerfeld, Copper : Indicator of the progress of civilisation. Proceedings of Copper 2010. 7th International Copper-Cobre Conference 2010, Hamburg, Germany, (761-778). 6-10 June 2010. Jak, E. and Hayes, P.C. (2010). Phase chemistry of lead smelting slags. In: A. Siegmund, L. Centomo, C. Cenen, N. Piret, G. Richards and R. Stephens, PbZn 2010 : Papers originally presented at Lead-Zinc 2010. Lead-Zinc 2010, Vancouver, Canada, (1161-1176). 3-6 October 2010. Hayes, P.C., Hidayat, T. and Jak, E. (2010). Product morphologies and reaction mechanisms on gaseous reduction of metal oxides. In: Seetharaman Honorary Symposium, Stockholm , Sweden, (). 2010. Henao, H. M., Hayes, P. C. and Jak, E. (2010). Research on indium and germanium distributions between lead bullion and slag at selected process conditions. In: A. Siegmund, L. Centomo, C. Geenen, N. Piret, G. Richards and R. Stephens, PbZn 2010 : Papers originally presented at Lead-Zinc 2010. Lead-Zinc 2010, Vancouver, BC, Canada, (1145-1160). 3-6 October 2010. Jak, E. and Hayes, P. C. (2010). Slag phase equilibria and viscosities in ferronickel smelting slags. In: Asmo Vartianen, INFACON XII proceedings. The Twelfth International Ferroalloys Congress (INFACON XII), Helsinki, Finland, (619-629). 6-9 June 2010. Henao, H.M., Hayes, P.C. and Jak, E. (2010). Sulphur capacity of the "FeO"-CaO-SiO2 slag of interest to the copper smelting process. In: GDMB, Paul-Ernst-Straße and Clausthal-Zellerfeld, Copper : Indicator of the progress of civilisation. Proceedings of Copper 2010. 7th International Copper-Cobre Conference 2010, Hamburg, Germany, (731-748). 6-10 June 2010. Rhamdhani, M. A., Chen, J., Hidayat, T., Jak, E. and Hayes, P. C. (2009). Advances in research on nickel production through the Caron Process. In: Harre, J., Proceedings of EMC 2009. European Metallurgical Conference 2009, Inssbruck, Austria, (899-914). 28 June - 1 July 2009. Chen, J., Jak, E. and Hayes, P. C. (2009). Factors affecting nickel extraction from the reduction roasting of saprolite ore in the Caron process. In: Liu, J., Peacey, J., Barati, M., Kashsni-Nejad, S. and Davis, B., Pyrometallurgy of Nickel and Cobalt 2009: Proceedings of the International Symposium. The 48th Conference of Metallurgists, Sudbury, Ontario, Canada, (449-462). 23-26 August 2009. Campforts, M., Jak, E., Van Rompaey, T., Blanpain, B. and Wollants, P. (2009). Freeze lining formation of a synthetic lead slag. In: Sanchez, M., Parra, R., Riveros, G. and Diaz, C., Molten 2009: Proceedings of the VIII International Conference on Molten Slages, Fluxes and Salt. VIII International Conference on Molten Slages, Fluxes and Salt, Santigao, Chile, (1335-1346). 18-21 January 2009. Henao, Hector, Hayes, Peter, Jak, Evgueni, George-Kennedy, David and Nexhip, Colin (2009). Investigation of Phase Equilibria of Copper Smelting Slags in the FeO-Fe2O3-SiO2-CaO-MgO-Al2O3 system at fixed oxygen potential. In: Mario Sánchez, Roberto Parra, Gabriel Riveros and Carlos Díaz, MOLTEN2009: Proceedings of the VIII International Conference on Molten Slags, Fluxes and Salts. VIII International Conferencew on Molten Slags, Fluxes and Salts, Santiago, Chile, (93-100). 18-21 Jan 2009. Henao, H., Hayes, P., Jak, E., George-Kennedy, D. and Nexhip, C. (2009). Investigation of phase equilibira of copper smelting slags in the FeO-Fe2O3-SiO2-CaO-MgO-Al2O3 system at fixed oxygen potential. In: Sanchez, M., Parra, R., Riveros, G. and Diaz, C., Molten 2009: Proceedings of the VIII International Conference on Molten Slages, Fluxes and Salt. VIII International Conference on Molten Slages, Fluxes and Salt, Santiago, Chile, (93-100). 18-21 January 2009. Nikolic, S., Alvear, G., Hayes, P. C. and Jak, E. (2009). Liquidus temperatures in calcium ferrite slags equilibriated with molten copper and their industrial application to copper coverting. In: M. Sanchez, R. Parra, G. Riveros and C. Diaz, Molten 2009: Proceedings of the VIII International Conference on Molten Slages, Fluxes and Salt. VIII International Conference on Molten Slages, Fluxes and Salt, Santiago, Chile, (111-122). 18-21 January 2009. Hidayat, T., Rhamdhani, M. A., Jak, E. and Hayes, P. C. (2009). Mechanisms and kinetics of nickel oxide reduction in hydrogen and implications for industrial practice. In: Liu, J., Peacey, J., Barati, M., Kashsni-Nejad, S. and Davis, B., Pyrometallurgy of Nickel and Cobalt 2009: Proceedings of the International Symposium. The 48th Conference of Metallurgists, Sudbury, Ontario, Canada, (591-602). 23-26. Henao Zapata, Hector M., Pizarro, C., Font, J., Moyano, A., Hayes, P. C. and Jak, E. (2009). Phase equilibria of fayalite-based slags for the slag cleaning process in copper production. In: Sanchez, M., Parra, R., Riveros, G. and Diaz, C., Molten 2009: Proceedings of the VIII International Conference on Molten Slages, Fluxes and Salt. VIII International Conference on Molten Slages, Fluxes and Salt, Santiago, Chile, (83-91). 18-21 January 2009. Jak, E., Hayes, P. C., Pelton, A. D. and Decterov, S. A. (2009). Thermodynamic modelling of the A12O3-CaO-FeO-Fe2O3-PbO-SiO2-ZnO system with addition of K and Na with metallurgical applications. In: M. Sanchez, R. Parra, G. Riveros and C. Diaz, Molten 2009: Proceedings of the VIII International Conference on Molten Slages, Fluxes and Salt. VIII International Conference on Molten Slages, Fluxes and Salt, Santiago, Chile, (473-490). 18-21 January 2009. Jak, E. (2009). Viscosity model for slags in the A12O3-CaO-'FeO'-K2O-Na2O-MgO-SiO2 system. In: M. Sanchez, R. Parra, G. Riveros and C. Diaz, Molten 2009: Proceedings of the VIII International Conference on Molten Slages, Fluxes and Salt. VIII International Conference on Molten Slages, Fluxes and Salt, Santiago, Chile, (433-448). 18-21 January 2009. Jak, E. and Hayes, P. C. (2008). The role of slag chemistry in the design of freeze linings for zinc slag fuming. In: Zinc Processing’08, Brisbane, QLD, Australia, (). 25-26 August 2008. Jak, E. and Hayes, P. C. (2008). The use of thermodynamic modelling to examine alkali recirculation in the iron blast furnace. In: Japan-Australia-China Workshop on Iron and Steelmaking, Kyoto, University, Metallurgy Department, (). April 2008. Jak, E., Kondratiev, A., Saulov, D. and Hayes, P. C. (2007). Development and applications of the thermodynamic and viscosity models for complex coal ash slag systems. In: Proceedings: 21st Annual International Pittsburgh Coal Conference. 21st Annual International Pittsburgh Coal Conference, Osaka, Japan, (2-4). 13-17 September, 2007. Nikolic, S., Hayes, P.C. and Jak, E. (2007). Liquidus temperatures in calcium ferrite slags equilibrated with molten copper at fixed oxygen partial pressures. In: Warner, A., Newman, C. J., VAhed, A., George, D. B., Mackey, P. J. and Warczok, A., Copper 2007 - Cobre 2007. Copper 2007 - Cu2007 - Process Control, Optimization and Six Sigma, Canada, (77-92). August 2007. Raghunath, S., Hayes, P. C. and Jak, E. (2007). Viscosity measurements in the 'FeO' - SiO2 and Al2O3 - 'FeO' - SiO2 systems. In: International Conference on Advanced Materials and Composites (IMAC 2007), Thiruvananthapuram, India, (706-711). 24-26 October, 2007. Verscheure, K., Van Camp, M., Blanpain, B., Woolants, P., Hayes, P. C. and Jak, E. (2006). Freeze linings in zinc fuming processes. In: F. Kongoli and R. G. Reddy, Sohn International Symposium - Advanced Processing of Metals and Materials. Sohn International Symposium Advanced Processing of Metals and Materials, San Diego, USA, (361-364). 27-31 August 2006. Nikolic, S., Hayes, P C and Jak, E (2006). Phase equilibria in ferrous calcium silicate slags at 1250O. In: F Kongoli and R G Reddy, Sohn International Symposium Advanced Processing of Metals and Materials Thermo and Physicochemical Principles. Sohn International Symposium Advanced Processing of Metals and Materials Thermo and Physicochemical Principles, San Diego, CA, USA, (791-804). 27-31 August 2006. Jak, E., Kondratiev, A. and Hayes, P. (2006). Thermodynamic and viscosity modeling for complex blast furnace slag systems. In: The 4th International Congress on the Science and Technology of Ironmaking (ICSTI '06) Proceedings. The 4th International Congress on the Science and Technology of Ironmaking: ICSTI 2006, Osaka, Japan, (464-467). 26-30 November 2006. Kondratiev, A., Hayes, P. C. and Jak, E. (2005). A viscosity model for fully liquid coal ash slags in the Al2O3-CaO-FeO-MgO-SiO2 system. In: Proceedings of the 2005 International Conference on Coal Science and Technology. 2005 International Conference on Coal Science and Technology, Okinawa, Japan, (). 9-14 Oct 2005. Kondratiev, A., Hayes, P. C. and Jak, E. (2005). Development and application of a quasi-chemical viscosity model for Al2O3-CaO-Fe-MgO-SiO2 slags. In: 150th ISIJ International Meeting, Hiroshima, Japan, (821-825). 28-30 September, 2005. Versheure, K., Van Camp, M., Blanpain, B., Wollants, P., Hayes, P. C. and Jak, E. (2005). Investigation of zinc fuming processes for the treatment of zinc-containing residues. In: Nilmani, M. and Rankin, W. J., Sustainable developments in metals processing : proceedings of the John Floyd International Symposium, Melbourne, Vic., July 3-6, 2005. John Floyd International Symposium on Sustainable Developments in Metals Processing, Melbourne, Australia, (237-251). July 3–6, 2005. Verscheure, K., Van Camp, M., Blanpain, B., Wollants, P., Hayes, P. C. and Jak, E. (2005). Investigation of zinc fuming processes for treatment of Zn-containing residues. In: Toshiharu Fujisawa, Lead & zinc '05 : proceedings of the International Symposium on Lead and Zinc Processing held 17-19 October, 2005, Kyoto, Japan. Lead & Zinc '05 International Symposium, Kyoto, (943-961). 17-19 October 2005. Verscheure, Karel, Van Camp, Maurits, Blanpain, Bart, Wollants, Patrick, Hayes, Peter and Jak, Eugene (2005). Modelling of a submerged plasma process for Zn-containing residues treatment and acid mine drainage waters. In: Ulrich Waschki, Proceedings: European Metallurgical Conference 2005. European Metallurgical Conference 2005, Dresden, Germany, (467-480). 18-21 September 2005. Kondratiev, A., Hayes, P. C. and Jak, E. (2004). Computer modelling of slag properties. In: D Young, Australia - Japan Iron & Steel Making Symposium. Australia - Japan Iron & Steel Making Symposium, Sydney, Australia, (1-10). 22-23 July 2004. Jak, E., Kondratiev, A., Saulov, D. N. and Hayes, P. C. (2004). Development and applications of the thermodynamic and viscosity models for complex coal ash slag systems. In: Twenty-first annual International Pittsburgh Coal Conference: Coal - energy and the environment. 21st Annual International Pittsburgh Coal Conference, Osaka, Japan, (1-14). 13-17 September 2004. Kinaev, N., Jak, E. and Hayes, P. C. (2004). Kinetics of reduction of lead smelting slags with solid. In: R E Aune, Metal Separation Technologies III. Metal Separation Technologies III, Colorado, USA, (303-307). 20-24 June 2004. Chen, S., Erasmus, L, Barnett, S C C, Jak, E. and Hayes, P. C. (2004). Liquidus temperatures of ferro-nickel smelting slags. In: W. P. Imrie and D. M. Lane, International Laterite Nickel Symposium - 2004 : proceedings of symposium, sponsored by the Extraction and Processing Division (EPD) of TMS (The Minerals, Metals & Materials Society) in conjunction with The Society of Mining Metallurgy and Exploration (SME), The Metallurgical Society of CIM (METSOC) and the Australasian Institute of Mining and Metallurgy (AusIMM), and held during the 2004 TMS Annual Meeting in Charlotte, Nth Carolina, March 14-18, 2004. International Laterite Nickel Symposium 2004, North Carolina, USA, (503-518). 14-18 March 2004. Jak, E. and Hayes, P. C. (2004). Phase equilibria determination in complex slag systems. In: International conference on molten slags, fluxes and salts. International conference on molten slags, fluxes and salts, Cape Town, South Africa, (85-103). 25-28 January 2004. Hansson, R. M., Hayes, P. C. and Jak, E. (2004). Phase equilibria in the Fe-Zn-O system at conditions relevant to zinc sintering and smelting. In: International conference on molten slags, fluxes and salts. International conference on molten slags, fluxes and salts, Cape Town, South Africa, (209-214). 25-28 January 2004. Kondratiev, A. and Jak, E. (2004). Quasi-chemical viscosity model for fully liquid slags in the Al203-CAO-'FeO'-SiO2 system. In: International conference on molten slags, fluxes and salts. International conference on molten slags, fluxes and salts, Cape Town, South Africa, (141-149). 25-28 January 2004. Decterov, S A, Jung, I., Jak, E., Kang, Y-B., Hayes, P. C. and Pelton, A D (2004). Thermodynamic modelling of the Al2O3-CaO-CoO-CrO-Cr2O3-FeO-Fe2O3-MgO-MnO-NiO-SiO2-S system and applications in ferrous process metallurgy. In: International conference on molten slags, fluxes and salts. International conference on molten slags, fluxes and salts, Cape Town, South Africa, (839-850). 25-28 January 2004. Jak, E and Hayes, P. C. (2003). Prediction of phase equilibria and viscosities of blast furnace slags using factsage and modified urbain models. In: Proceedings of Science and Technology of Innovative Ironmaking for Aiming at Energy Half Consumption. Symposium of Science and Technology of Innovative Ironmaking for Aiming at Energy Half Consumption proceedings, Tokyo, Japan, (169-175). November 2003. Jak, E., Kondratiev, A., Christie, S. and Hayes, P. C. (2003). The prediction and representation of phase equilibria and physico-chemical properties in complex slag systems. In: 12th International Conference on Coal Science: program and abstracts. 12th International Conference on Coal Science (ICCS), Cairns, Queensland, Australia, (). 2-6 November, 2003. Jak, E. and Hayes, P. C. (2003). The use of thermodynamic and viscosity models to predict homogeneous and heterogeneous slag viscosities. In: CAMP (Current Advances in Materials and Processes). ISIJ International Meeting 2003, Sapporo, Japan, (848-851). October 2003. Jak, E and Hayes, Peter Charles (2002). Application of experimental and thermodynamic modelling studies in lead and zinc smelting industry (the system PbO-ZnO-FeO-Fe203-CaO-Si02). In: International Conference Metallurgical High Technology and new materials of heavy nonferrous metals (ICHNM), Yunnan, China, (36-47). April 2002. Ilyushechkin, A., Hayes, P. C. and Jak, E. (2002). Liquidus temperatures in calcium ferrite slags equilibrated with molten copper. In: Proceedings of the CSIRO 4th Australian Melt Chemistry Symposium. 4th Australian Melt Chemistry Symposium, Melbourne, (). 10-11 December, 2002. Blanpain, B., Hayes, P. C., Jak, E., Verhaeghe, F. and Wollants, P. (2002). Modelling of a lead blast furnace. In: 4th Australian Melt Chemistry Symposium : improving & using our knowledge, 10-11 December, 2002. 4th Australian Melt Chemistry Symposium, Melbourne, Australia, (). 10-11 December, 2002. Roghani, G., Jak, E. and Hayes, P. C. (2002). Phase Equilibrium Studies in Ferromanganese Smelting Slags. In: Proceedings of the 4th Australian Melt Chemistry Symposium. 4th Australian Melt Chemistry Symposium, Melbourne, Australia, (). 10-11 December, 2002. Kondratiev, A., Jak, E. and Hayes, P. C. (2002). Prediction of Viscosities in Fully and Partially Molten Slag Systems. In: Proceedings of the 4th Australian Melt Chemistry Symposium. 4th Australian Melt Chemistry Symposium, Melbourne, (). 10-11 December 2002. Christie, S., Hayes, P. C., Jak, E. and Kondratiev, A. (2002). Pyrosoft - a new software tool for the prediction and representation of physico-chemical properties in complex slag systems. In: Proceedings of the 4th Australian Melt Chemistry Symposium. 4th Australian Melt Chemistry Symposium, Melbourne, (). 10-11 December, 2002. Chen, S., Jak, Eugene and Hayes, Peter C. (2002). The effect of AL203 on the liquidus temperature of CMSA ferro-nickel smelting slags. In: Proceedings of the 4th Australian Melt Chemistry Symposium. 4th Australian Melt Chemistry Symposium, Melbourne, (). 10-11 December 2002. Jak, E., Kondratiev, A., Christie, S. and Hayes, P. C. (2002). The prediction and representation of phase equilibria and physico-chemical properties in complex slag systems. In: Mills Symposium Metals, Slags, Glasses: High Temperature Properties & Phenomena, London, United Kingdom, (). 22-23 August 2002. Hayes, P. C. and Jak, E. (2002). Thermodynamic Modelling of the Coal Ash Slag for Black Coal Utilisation (A New FactSage Database of the Al-Ca-Fe-O-Si System and the Effects of MgO, K2O and Na2O on Liquidus). In: 4th Australian Melt Chemistry Symposium. 4th Australian Melt Chemistry Symposium, Melbourne, (). 10-11 December 2002. Christie, S., Hayes, P. C. and Jak, E. (2002). Zinc fuming process modelling. In: Proceedings of the 4th Australian Melt Chemistry Symposium. 4th Australian Melt Chemistry Symposium, Melbourne, (). 10-11 December 2002. Jak, E. (2001). Application of the F*A*C*T computer package to prediction of coal ash fusion temperatures. In: Proceedings of the 18th Pittsburgh Coal Conference. 18th Annual International Pittsburgh Coal Conference, Newcastle, NSW, Australia, (). 4-7 December, 2001. Kondratiev, A. and Jak, E. (2001). Applications of the coal ash viscosity model for the slagging gasification technologies (viscosity model of the SiO2-Al2O3-CaO-Fe0-Fe2O3 system). In: 18th Pittsburgh Coal Conference Proceedings. 18th Pittsburgh Coal Conference, Newcastle, NSW, Australia, (). 4-7 Dec 2001. Vladimirov, I. G., Christie, S. R. and Jak, E. (2001). Computer modeling of physical chemical properties of complex coal ash slag systems in multi-dimensional compositional space. In: 18th Pittsburgh Coal Conference Proceedings. 18th Pittsburg Coal Conference, Newcastle, NSW, Australia, (). 4-7 Dec 2001. Jak, E., Kondratiev, A., Christie, S., Vladimirov, I. and Hayes, P.C. (2001). Thermodynamic Modelling To Characterise Melting And Flow Properties Of The Coal Ash Slags. In: United Engineering Foundation Conference - Power Production in the 21st Century: Impacts of Fuel Quality and Operations. United Engineering Foundation Conference - Power Production in the 21st Century: Impacts of Fuel Quality and Operations, Snowbird, Utah, (723-733). 28 Oct - 2 Nov 2001. Jak, E., Kondratiev, A., Christie, S. R., Vladimirov, I. G. and Hayes, P. C. (2001). Thermodynamic modeling to characterize melting and flow properties of coal ash slags. In: Power production in the 21st Century: Impacts of fuel quality and operations. United Engineering Foundation Conference, Salt Lake City, Utah, USA, (). 28 Oct - 2 Nov 2001. Jak, E. and Hayes, P. C. (2001). Thermodynamic modelling of the coal ash systems in Black Coal Utilisation (a new F*A*C*T database for the SiO2-Al2O3-CaO-FeO-Fe2O3 system and the effects of MgO, K2O and Na2O on the liquidus. In: 18th Pittsburg Coal Conference Proceedings. 18th Pittsburg Coal Conference, Newcastle, NSW, Australia, (). 4-7 Dec 2001. Jak, E. and Hayes, P. C. (2000). Applications of the new FACT database for the prediction of melting behaviour of coal mineral matter. In: J. H. Pohl, 9th Australian Coal Science Conference Solutions for Industry. 9th Australian Coal Science Conference Solutions for Industry, Brisbane, (CD Rom). 26-29 November, 2000. Jak, E. and Hayes, P. C. (2000). Applications of the new FACT in coal mining planning. In: 4th Annual Conference Cooperative Research Centre for Black Coal Utilisation. 4th Annual Conf. Cooperative Research Centre for Black Coal Utilisation, Pinjarra Hills, Brisbane, (1-9). 9-14 November 2000. Kondratiev, Alexander and Jak, Evgueni (2000). Predicting coal ash slag characteristics (viscosity model in the A12O3-CaO-"FeO"-SiO2 system). In: J. H. Pohl, Proceedings of the 9th Australian Coal Science Conference Solutions for Industry. 9th Australian Coal Science Conference, Brisbane, Australia, (). 26-29 November, 2000. Viscosity model in the Al2O3-CaO-"FeO"-SiO2"
Kondratiev, Alexander and Jak, Evgueni (2000). Viscosity model in the Al2O3-CaO-"FeO"-SiO2". In: MINPREX 2000, International Congress on Mineral processing and Extractive Metallurgy. MINXPREX 2000, Melbourne, (445-451). 11-13 September, 2000. Kondratiev A. and Jak E. (2000). Viscosity model in the Al2O3-CaO-'FeO'-SiO2 system. In: International Congress on Mineral Processing and Extractive Metallurgy (Minprex 2000), Melbourne, (445-451). September 11, 2000-September 13, 2000. Jak, E. and Hayes, P. C. (1999). A new FACT database for the prediction of melting behaviour of coal mineral matter. In: CRC Black Coal Utilisation: Symposium on Entrained-flow Gasification. Symposium on Entrained-flow Gasification, Brisbane, Australia, (). October 1999. Jak, E. and Hayes, P. C. (1999). Phase equilibria in complex slag systems - charting the course through compositional space. In: Proceedings of the Mineral Processing Conference '99, SAIMM. Mineral Processing Conference '99, SAIMM, University of Cape Town, Rondeboch, South Africa, (). 5-6 August 1999. Jak, E., Degterov, S., Pelton, A. D., Happ, J. and Hayes, P. C. (1999). Thermodynamic modelling of the system Al2O3-SiO2-CaO-FeO-Fe2O3 to characterise coal ash slags. In: R. P. Gupta, T. F. Wall and L. Baxter, Proceedings of The Impact of Mineral Impurities in Solid Fuel Combustion: IMpact of Mineral Impurities in Solid Fuel Combustion. The Impact of Mineral Impurities in Solid Fuel Combustion, Kona, Hawaii, (723-734). 2-7 Nov 1997. Jak, E. and Hayes, P. C. (1998). Applications of FACT thermodynamic models to the analysis of coal ash behaviour. In: CRC Black Coal Utilisation Annual Conference. CRC Black Coal Utilisation Annual Conference, Newcastle, Australia, (). Nov 1998. Degterov, S., Pelton, A. D., Jak, E., Hayes, P. C. and Pelton A. D. (1997). Application of the compound energy formalism to the optimisation of multicomponent oxide solid solutions. In: Computer Coupling of Phase Diagrams and Thermochemistry Meeting (CALPHAD XXVI). Computer Coupling of Phase Diagrams and Thermochemistry Meeting (CALPHAD XXVI), Orlando, Florida, (). 11-16 May 1997. Wall, T. F., Bryant, G., Gupta, R., Kennedy, E., Lucas, J., Stanmore, B., Jak E., Hayes, P. C. and Manson, M. (1997). New characterisation ,techniques for coal minerals and the ash and slag generated during combustion and gasification. In: Proceedings of the 7th Japan/Australia Joint Technical Meeting on Coal. 7th Japan/Australia Joint Technical Meeting on Coal, Newcastle, Australia, (). 27-28 May 1997. Jak, E., Degterov, S., Hayes, P. C. and Pelton, A. (1997). Thermodynamic modelling of the system PbO-ZnO-FeO-Fe2O3-CaO-SiO2 for zinc/lead smelting. In: Proceedings of the Fifth International Symposium on Metallurgical Slags and Fluxes. The Fifth International Symposium on Metallurgical Slags and Fluxes, Sydney, Australia, (621-628). 5-8 Jan1997. Jak, E., Degterov, S., Pelton, A. D. and Hayes, P. C. (1996). Coupled experimental and thermodynamic study of the system PbO-ZnO-FeO-Fe2O3-CaO-SiO2 for lead / zinc smelting. In: Computer Coupling of Phase Diagrams and Thermochemistry Meeting (CALPHAD XXVI ). Computer Coupling of Phase Diagrams and Thermochemistry Meeting (CALPHAD XXVI ), Erice, Sicily, (). 1996. Degterov, S., Jak, E., Hayes, P. C. and Pelton A. D. (1996). Optimisation of the system PbO-ZnO-FeO-Fe2O3-CaO-SiO2. In: Computer Coupling of Phase Diagrams and Thermochemistry Meeting (CALPHAD XXVI ). Computer Coupling of Phase Diagrams and Thermochemistry Meeting (CALPHAD XXVI ), Erice, Sicily, (). 1996. Jak, E., Degterov, S., Pelton, A. D. and Hayes, P. C. (1996). Predicting the flux requirements for coal ash slags. In: Proceedings of the Workshop on Impact of Coal Quality on Thermal Coal Utilisation. Workshop on Impact of Coal Quality on Thermal Coal Utilisation, Brisbane, Australia, (). 1996. Jak, E., Liu, N., Lee H. G. and Hayes, P. C. (1994). Phase equilibria in the system PbO-CaO-SiO2. In: T. Azakami, Proceedings of the International Symposium on the Extraction and Applications of Zinc and Lead. The Lead & Zinc '95 International Symposium, Sendai, Japan, (747-751). 22-24 May 1995. Jak, E., Liu, N., Wu, P., Pelton, A., Lee, H. G. and Hayes, P. C. (1994). Phase equilibria in the system PbO-ZnO-SiO2. In: Australasian Institute of Mining and Metallurgy Publication Series: Proceedings of the 6th AUSIMM Extractive Metallurgy Conference. 6th AUSIMM Extractive Metallurgy Conference, Brisbane, Australia, (253-259). 3rd - 6th July 1994. Jak, E., Liu, N., Lee, H. G. and Hayes, P. C. (1994). The Application of phase equilibria studies to describe behaviour of lead smelting slags. In: Australasian Institute of Mining and Metallurgy Publication Series: Proceedings of the 6th AUSIMM Extractive Metallurgy Conference. 6th AUSIMM Extractive Metallurgy Conference, Brisbane, Australia, (261-268). 3rd - 6th July 1994. Jak, Evgueni (1996). Phase equilibria to characterise lead/zinc smelting slags and sinters (PbO-ZnO-CaO-SiO2-Fe2O3-FeO) PhD Thesis, School of Engineering, The University of Queensland. Viscosity measurements on complex multi-phase metallurgical slags.